Turn of the century elegance. Welcome to the Butler House, an English-style mansion in Mankato, Minnesota. The second floor is served by a front grand staircase and a rear service staircase. There are five guest rooms. "The comment that was placed on the website was not true. 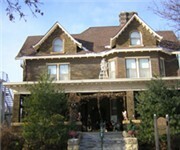 How Would You Rate The Butler House Bed and Breakfast Mankato?